Went to the counter and found some already pressed pennies in a little package. 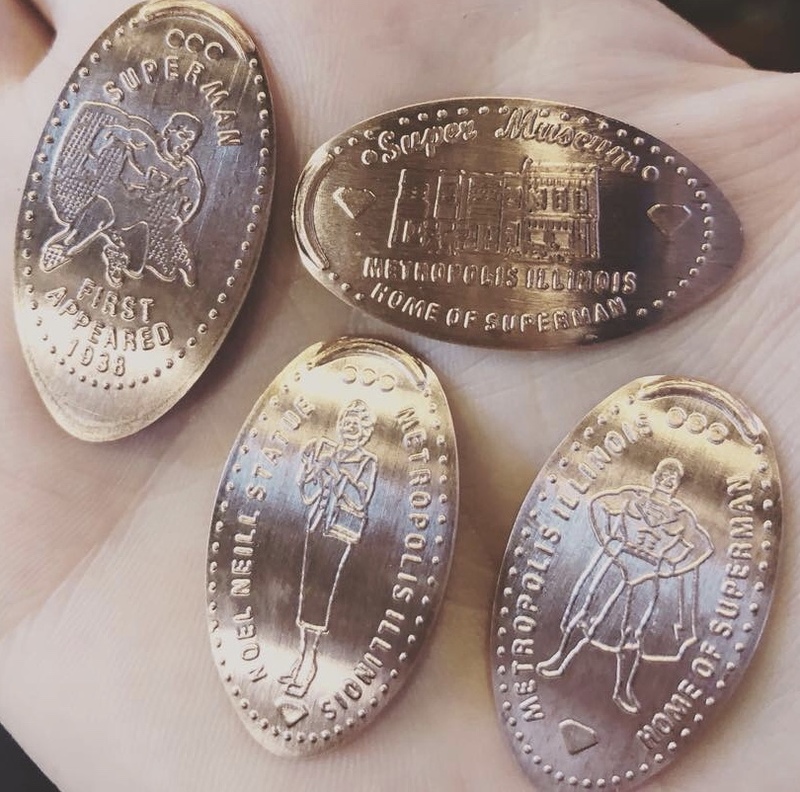 There was no actual penny press machine in the Super Man Museum store. they recently got a penny machine here. They will press and mail (in the US) all four designs for a $5 donation to the museum. Mail to address and attention Morgan.